Rumor has it that the dollar may soon be backed by gold… The committee at next weeks US Republican convention is going to bring forth a proposal to return to the gold standard. This would be a monumental change in the way the monetary system functions in America. Under a gold standard, the government and central bank are restricted from printing money because they must have an equal amount of gold in reserve. Since the US dollar was removed from the gold standard by Nixon, the government and central bank have had free reign to print dollars and inflate the currency. Is it really even possible for the system to return to gold? The total amount of gold in the world is 161,000 tons according to Nat Geo’s Jan 2009 issue. 50% of that amount has been mined in the past 50 years. This figure is several years old, but estimates vary widely. So using this as an estimate – the total amount of gold in the world comes in at about 8 trillion. Under a true gold standard at current pricing, there isn’t enough gold to back the dollar. The M2 money supply is about 10 Trillion dollars. The amount of recorded debt is 16 trillion, and this doesn’t count off sheet liabilities. It’s doubtful that politicians would have the discipline to restrain their spending. I think its even more doubtful that we will ever see the US dollar return to the gold standard. In the rare chance that there is a return to the gold standard by the US dollar (or China perhaps adopts a gold backed currency) we would correspondingly witness a dramatic increase in the price of gold. This is just one reason of why I’m still buying gold. The practical aspects of gold: the limited supply, and increased demand make it infinitely more attractive than fiat currency. 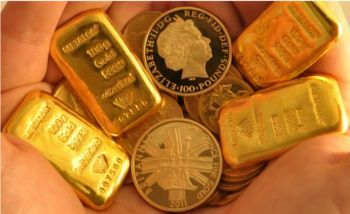 The very best place to hold gold is in a private allocated account outside the banking sector in a vault or secure facility outside of your home country. 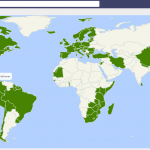 The goal is internationalization of your self and your wealth – or Flag Theory. I’ve outlined several of the best countries to accomplish this here, and in the past, I’ve written about how to move gold overseas, and how to get an offshore bank account or a gold backed debit card – without even leaving home. When investing in any asset class, you should only be willing to buy assets which you feel have long term prospects for growth. If you want to trade in and out, that is fine – but that is trading, not investing. I invest to preserve capital. Gold will continue the upward trend despite the ups and downs. We have seen a bull market in the last 10 years in gold, but the overall the financial system has serious, systemic, and enormous flaws. 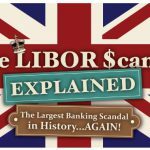 Bankers cheated the public for decades with LIBOR… the amount of debt is staggering, and gold presents one of the very few ways in which you can hold a physical asset of tremendous value. Whenever you do anything in life, it is vitally important to think for yourself. There is an incredible amount of information about all types of investments. You may have personal advisors (Who advise you not to internationalize) stock tips from friends, etc. Take them all with a grain of salt. Do your own research, make an informed investment, not a gamble. Particular volatility can be found in junior mining companies and on paper gold, such as ETF’s. These are more easily manipulated. However, since mining companies have taken such a pounding this year, now is again a good time to buy… to an extent. I’ll be blunt. I don’t trust the public markets anymore. There is too much deceit, lying and pilfering at the highest levels. With hedge funds who have servers located within the exchange, markets are easily manipulated. I’d much rather make an investment I can control (through a business or private equity arrangement) – but every once and a while I see something I can’t resist. For instance, when I bought Eldorado gold on July 25th, in the Guide to Gold, I suggested that my readers buy as well, after performing proper due diligence and going through executive reports. Stock in EGO has since risen 27.46% in the last 4 weeks since I made that signal. It also paid out a dividend in that monthly period. I still believe EGO is a long term value play with room to grow.